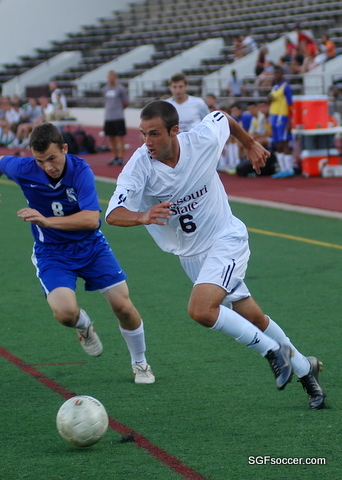 S&T had one of the top defensive teams in the GLVC throughout the 2009 season, holding its opponents to just 17 goals in 15 games as it finished with a 7-7-1 overall record and 7-5-1 mark in the GLVC. Despite losing sweeper Andy Held, the Miners return the bulk of their defensive unit as well as goalkeeper Pat McNamee to the fold for the upcoming year. Caleb Collier (Kickapoo 2009/Springfield SC) and Mason Morawitz (Hickman 2009/Springfield SC) are battling for starting positions and should see minutes although Collier has an MRI scheduled for a shoulder problem that cropped up during the team’s Chicago trip to play DePaul. The boys also return to Springfield on September 26th when the Miner’s visit to play against GLVC opponent Drury University.